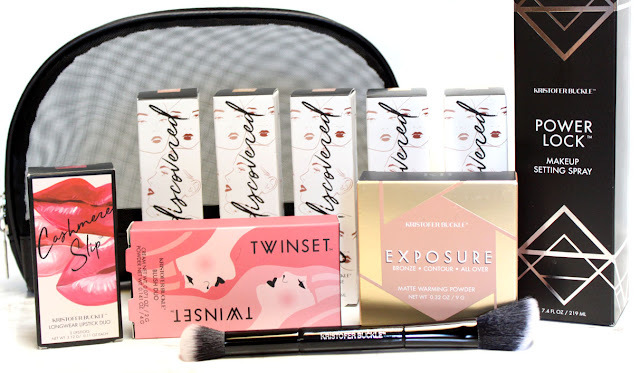 BOXYCHARM for November is all about beauty products to get you through the sweater weather months. 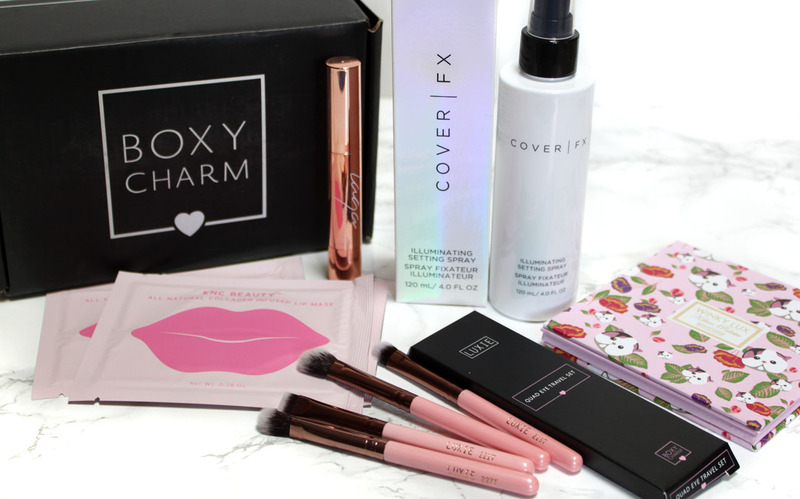 BOXYCHARM is a subscription box for $21/mo that gives you 4-5 Full Size Beauty Products. Lets have a look at how BoxyCharm is heating up our cold-weather beauty game! This is a cute little set of synthetic brushes. I always like getting brushes in my boxy because you can never have too many, especially decent quality ones like these. 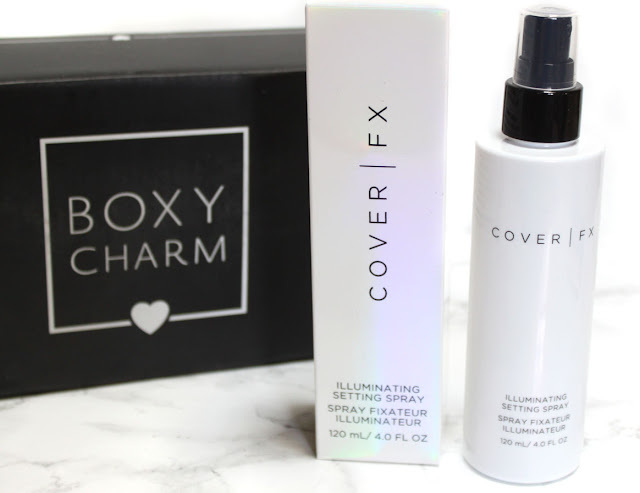 Cover Fx Illuminating Setting Spray is a quick-drying setting spray that sets makeup for all day wear and imparts instant, all over illuminations. It's alcohol free, so it's not drying to the skin. I am not a huge user of setting sprays, but this one is unlike any others. November is dull city as far as my skin is concerned so I am all about anything that will boost radiance. This spray is a super fine mist and imparts the prettiest glow to the skin. It's not oily or glittery looking, just radiant. I really loved this! 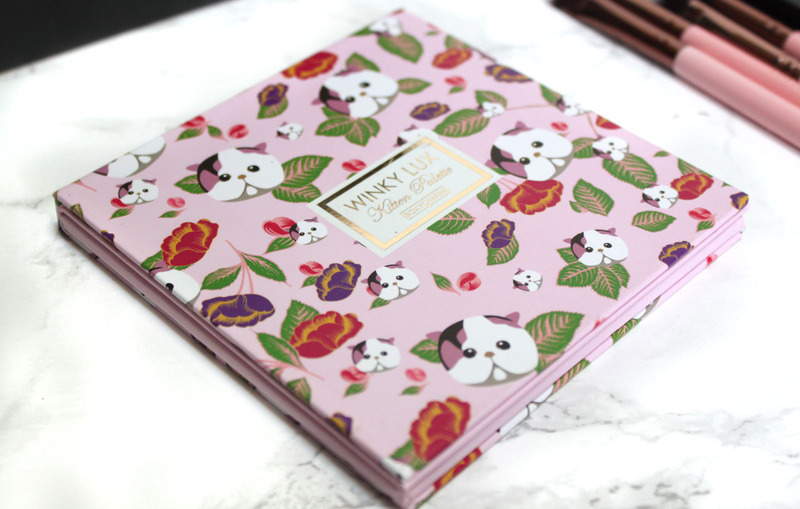 How adorable is this little cute Kitten palette? 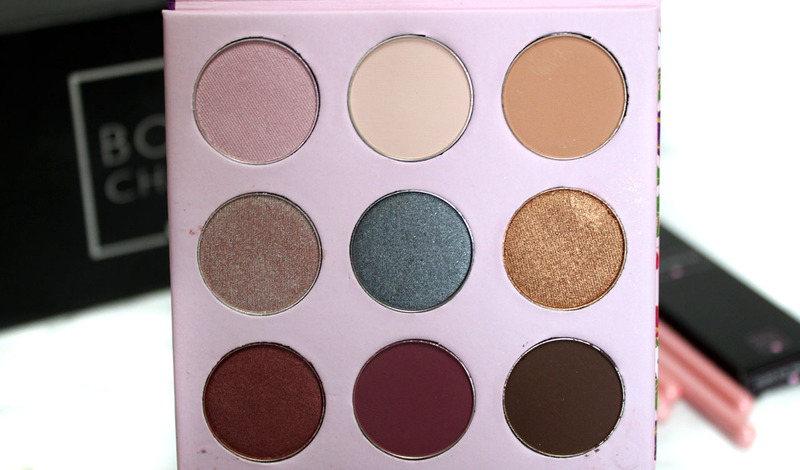 Boxy always brings it with the cutest eyeshadow palette's. You could easily build your eyeshadow palette collection just by being a subscriber pretty quickly. It features highly-pigmented shadows in four finishes: holographic, satin, matte, and glitter. After getting quite a few neutral palette's this is a nice change. The holographic shadows are so pretty and make me want to spice up my everyday neutral eye makeup a little. An airy matte lipstick that provides full coverage, but feels light as a cloud. I am so glad they didn't put another dry af liquid matte lipstick in this box! Nobody wants that in November, some of us don't want that ever. The color I got, Spellbound, is a pretty face brightening cherry red and it feels very comfortable on. I love my Patchology lip masks, but they are on the expensive side so I am hoping these will be a cheaper alternative. 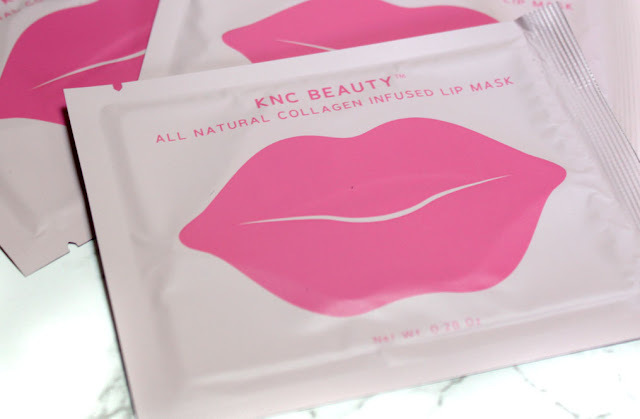 They are innovative jelly masks for your lips that hydrate, moisturize, and plump your pout with natural ingredients. They're packaged so cute! We need all the help we can get in keeping our lips moisturized right now. I love that they gave us not just one patch to try, but three. While this box wasn't anything to write home about and didn't have any big name brands, I still enjoyed it. 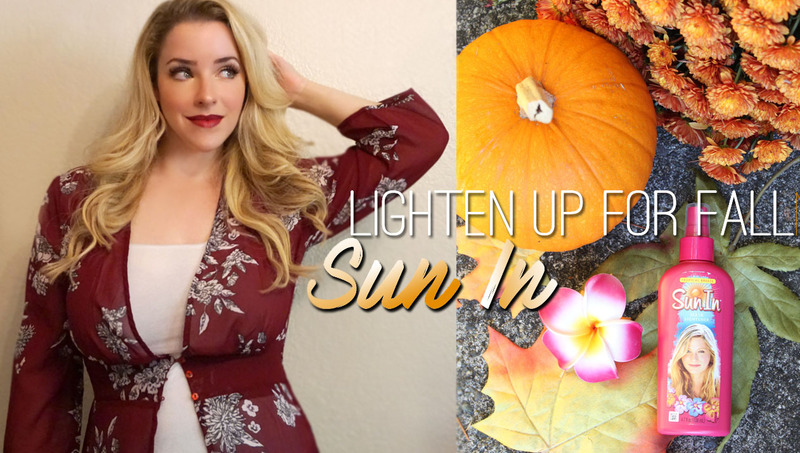 I found everything seasonally appropriate and very useful for the cold-weather months. It seems that no sooner than I was saying Summer was never-ending that it turned in to Winter overnight! The dry bitter cold, sun down by 5 p.m., and constant need for lip balm is a sure indicator of that. Now that the cold season is in full force I have switched over to my must-have Winter essentials. Here is what I keep on hand for surviving the cold season beautifully! If there is one product that is at the top of my Winter beauty list it is moisturizer. Even if you have oily skin, or like me combination, frigid dry air and indoor heat can wreak havoc on the moisture levels of your skin. I turn to extra hydrating super-rich moisturizers for my face and body. Look for ones specially formulated for the hands and feet which need extra care. Coconut Oil also makes a wonderful moisturizer for both skin and hair. There is nothing more relaxing than taking a hot bath, especially when it's chilly out. Of course this is also cold and flu season, so my bath bombs take on a dual purpose. I choose ones with soothing ingredients like Eucalyptus, Ginger, and Mint. 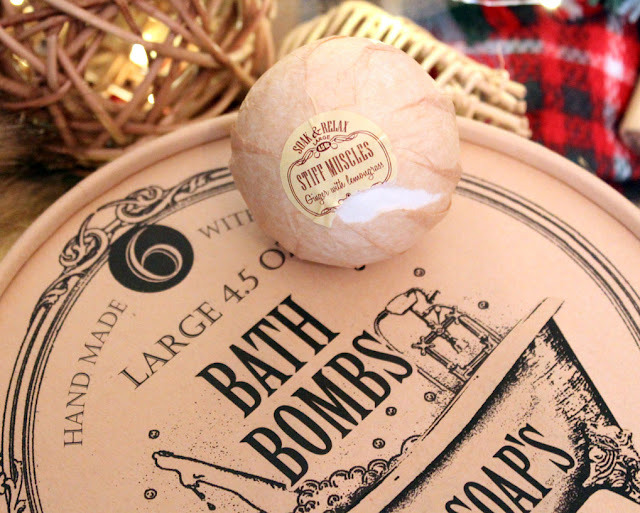 The moisturizing agents in bath bombs keep your skin feeling silky soft while the hot steam lets you breathe easily. Just remember not to get the water too hot! It can have the opposite effect and dry out your skin. My hair gets terribly dried out in the Winter and prone to breakage. Applying a thick, moisturizing and repairing hair mask fixes those stressed strands right up. I like to apply a hair mask while taking a hot bath to let it penetrate in to my hair for 20 minutes or more. Sheet Masks are my skincare obsession. They have ones for the face, lips, and even for your feet. 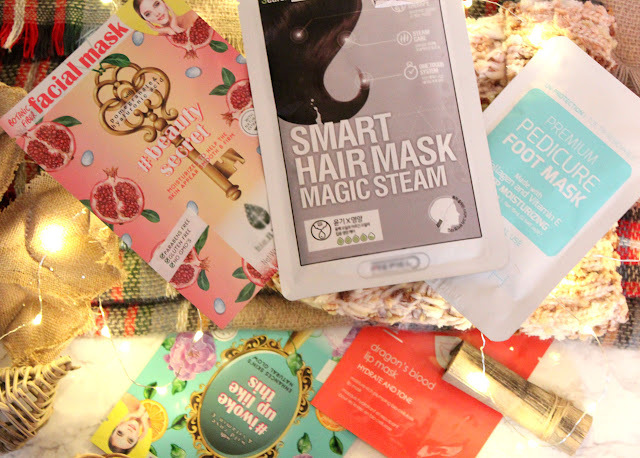 I prefer this style of mask in the Winter because it keeps the product from drying out and provides a deep dose of hydration. When you take vitamin D from Nature Made, you can rest assured that you’re getting quality vitamins from the #1 Pharmacist Recommended Vitamin and Supplement Brand - based on a survey of pharmacists who recommend branded vitamins and supplements. 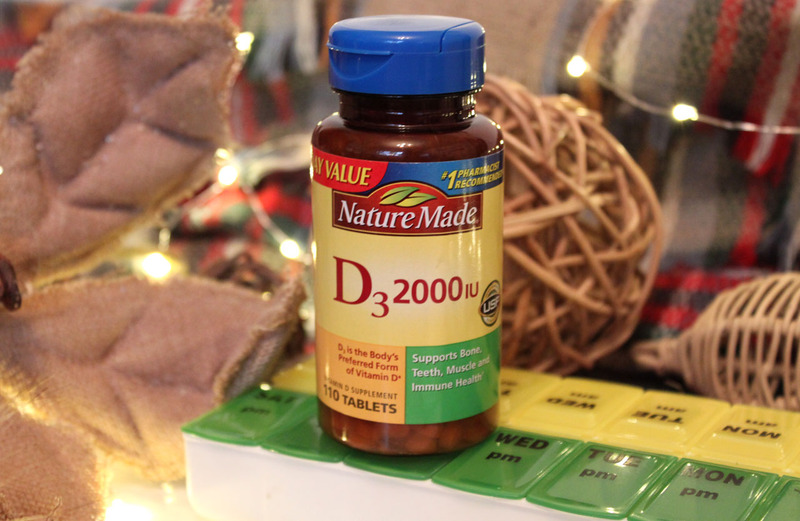 As I strive to live a healthier lifestyle this holiday season, I start by taking my daily Vitamin D vitamins with Nature Made. The tablets are small in size and easy to swallow. 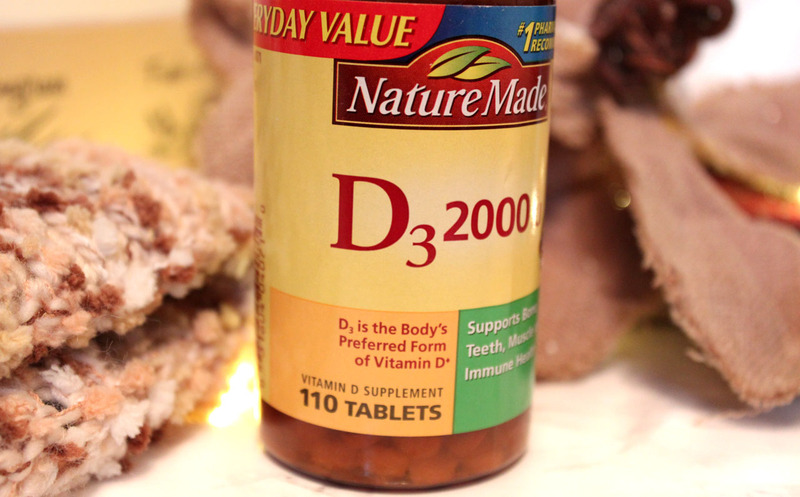 I take them along with my other vitamins and supplements at dinner time. Sun is scarce around here in the Winter but thanks to Nature Made I don't have to worry about the lack of sunlight. 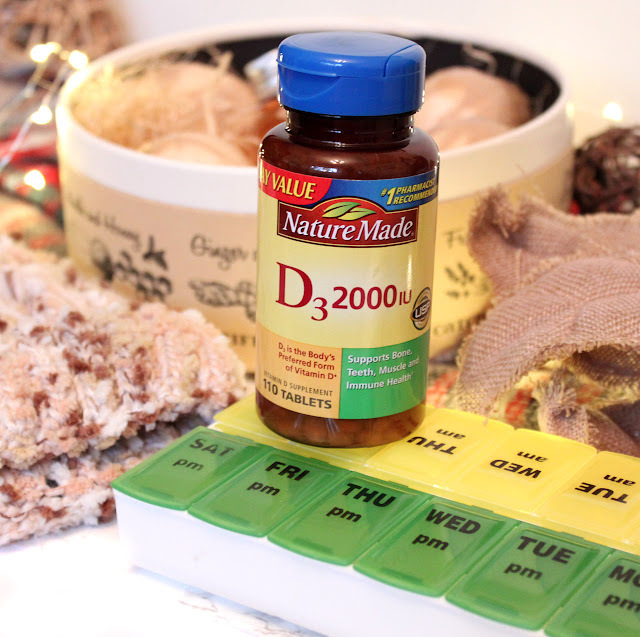 You can find Nature Made® Vitamin D in the Vitamin Aisle at your local Walmart. 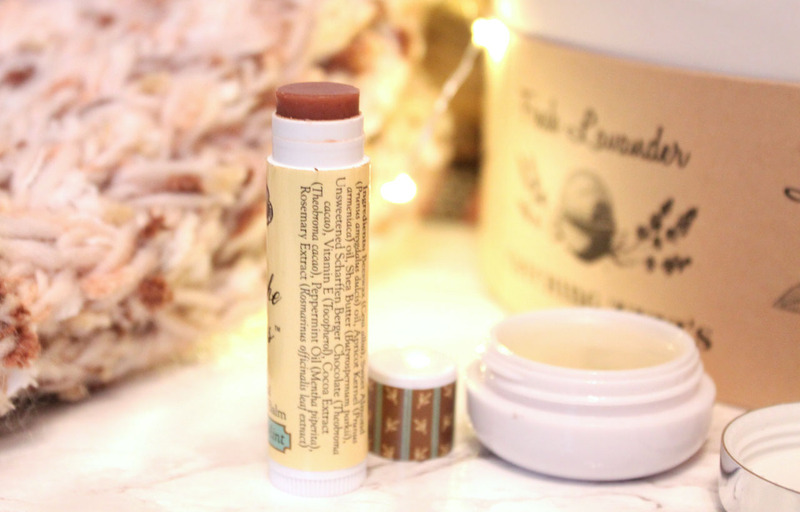 Lip Balm is a staple for me year round. I go through tubes and tubes of it a month. I keep multiples on my nightstand and in my purse so I never have to worry about dry, chapped lips. 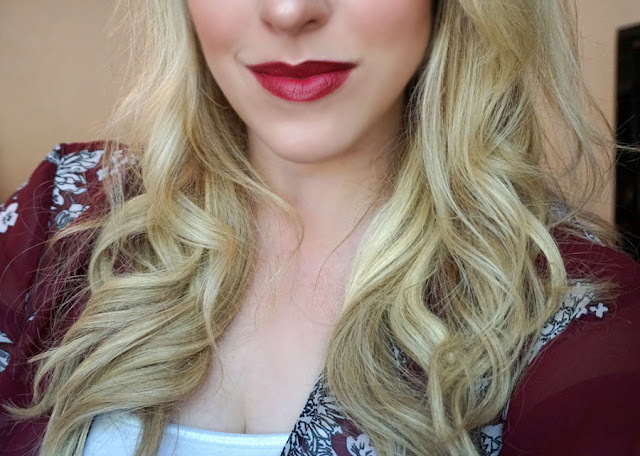 I love a moody Merlot lip color throughout the Winter months. Making sure my lips are healthy and moisturized is a must for wearing those deep, dark shades. 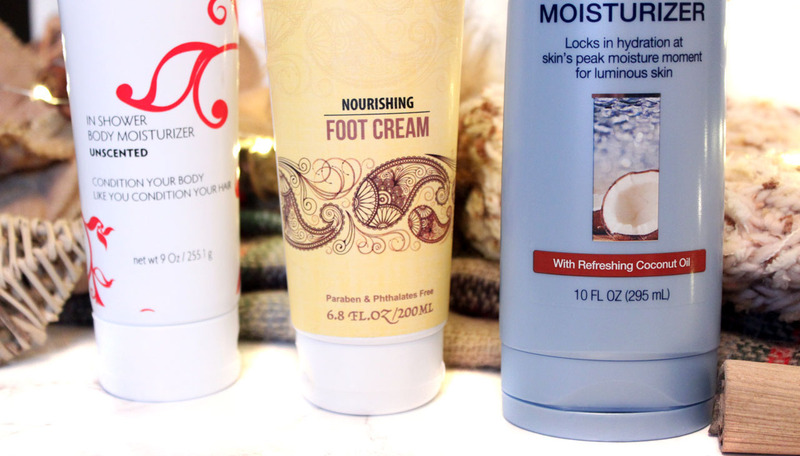 Look for ones containing moisturizing ingredients like Cocoa or Shea Butter. 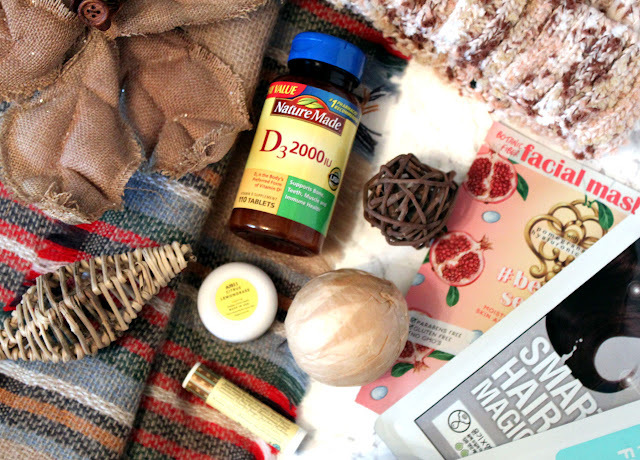 My favorites for Winter are in seasonal flavors like Peppermint Mocha and Sugar Cookie! 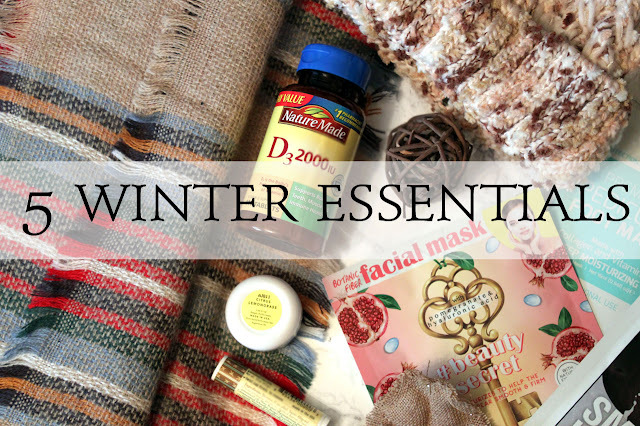 What is in your Winter Beauty Survival Kit? Do you supplement with Vitamin D during the Winter? 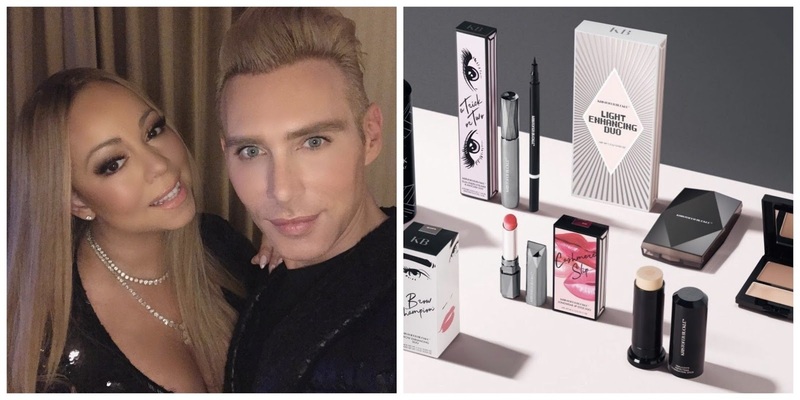 Celebrity makeup artist Kristofer Buckle is known in Hollywood for creating flawless looks and ensuring his clients’ features are highlighted to perfection. Whether he’s focused on sculpting and accentuating strong cheekbones or bringing drama and attention to a pretty pair of eyes, Kristofer relies on products that allow him to execute his work with precision. Now you can find high-performance Kristofer Buckle makeup at QVC, along with helpful tips and tricks that’ll have you applying your products like a pro in no time! Let's check it out! 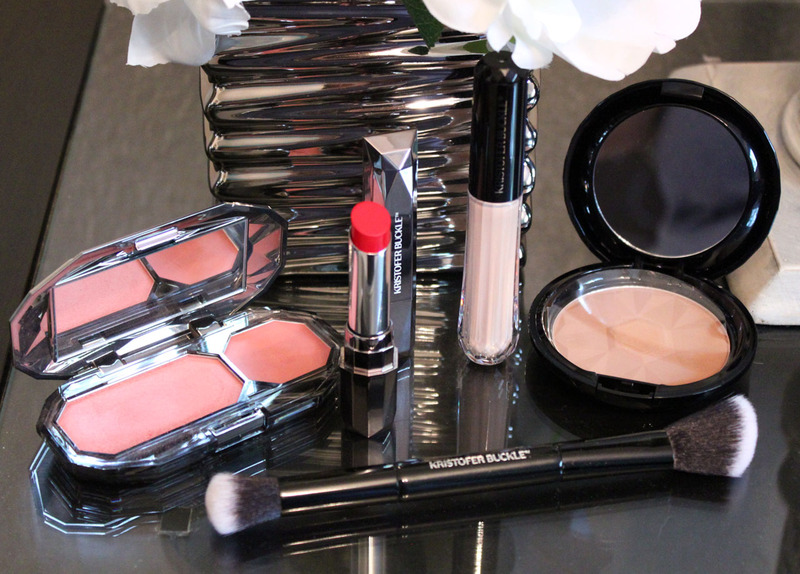 I am so so excited to get to try out a few products from Kristofer Buckle beauty! He is one of my favorite Celebrity Makeup Artists. I have been oohing and awwing over the gorgeous looks makeup looks he does on celebs for years. He just knows how to bring out beauty and glam like no other! With over 30 years of experience helping women look their best both on camera and off (and even on the red carpet! ), Kristofer has amassed a wealth of understanding about the transformative power of cosmetics. He keeps a sharp eye on current trends while maintaining a meticulous approach to crafting formulas that perform to meet his expectations and yours. With forward-thinking Kristofer Buckle innovations available at QVC, achieving the impeccable results you’ve been seeking has never been easier. 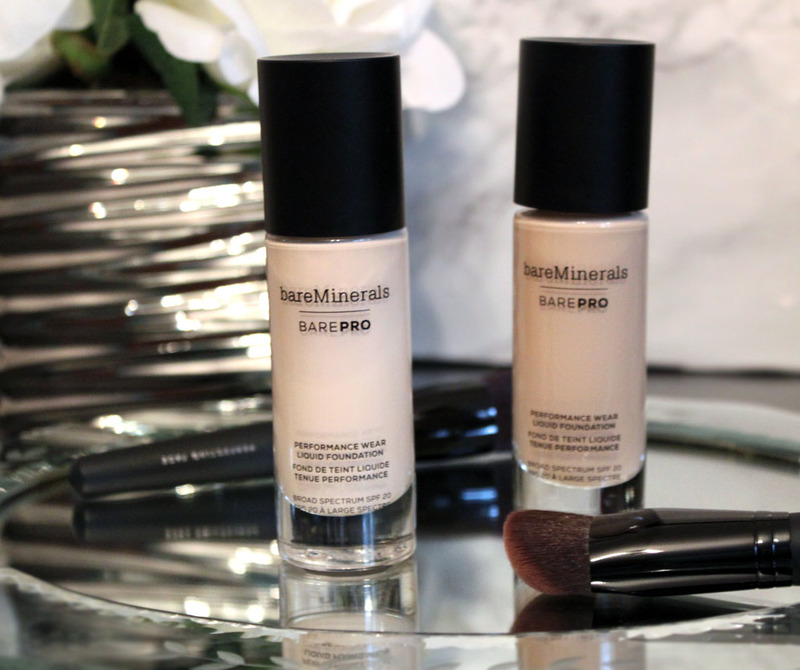 Conceal imperfections with full coverage and a radiant finish. 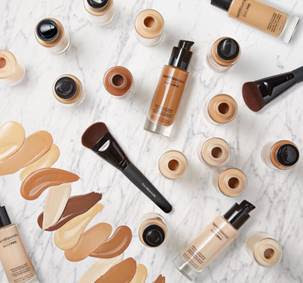 Undiscovered Full Coverage Concealer is a multitasking formula designed to hide imperfections and brighten for a perfected complexion. Rich pigments conceal blemishes, redness, dark circles and discoloration with a light-diffusing effect. Creamy, silky formula blends seamlessly and locks into place for a smooth, even finish that wears like second skin. Available in 8 shades. 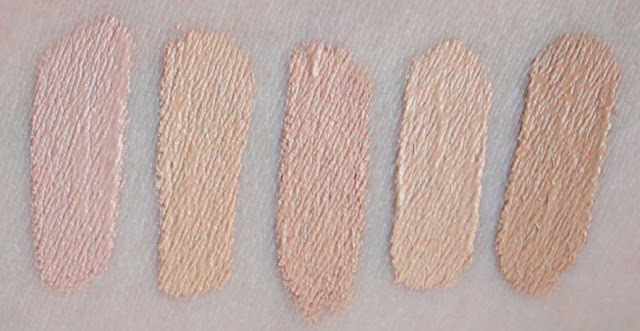 I love that the color range is split up by undertone and there isn't just three shades of light, medium, or dark. My shade match was Fair (Cool). It was just a touch too dark for my Winter shade, but still worked really well. 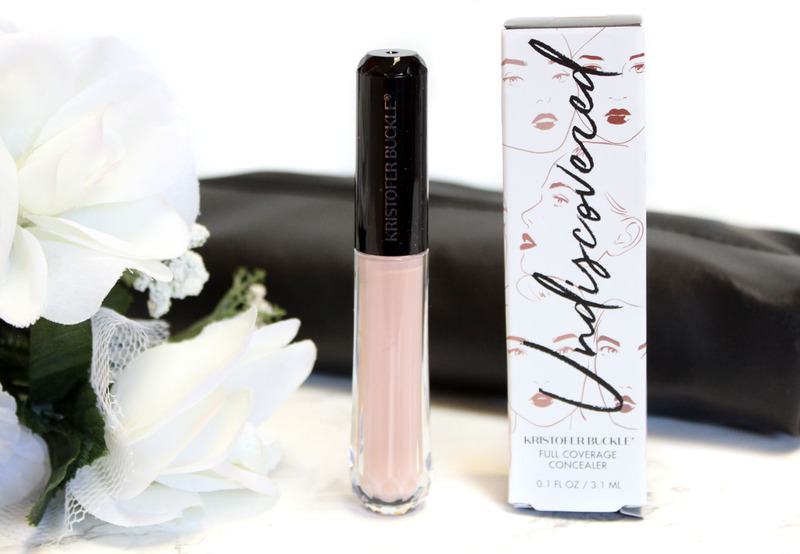 Undiscovered is a dry formula concealer so once it goes on it sets quickly and you need to work fast to blend. The coverage is amazing! It conceals fantastic with out having to use a lot of product. I found this a little too dry for me personally to use under my eyes, but it completely concealed my dark circles and brightened up my under eyes. If you are oily, or prone to creasing I think Undiscovered will work out really well for your under eye area. Where it really shines for me is on blemishes and discoloration. This concealer completely covers everything in one layer with out becoming cakey or wearing off. It wears like a second skin and the undertones in each shade are spot on to true skin undertones. 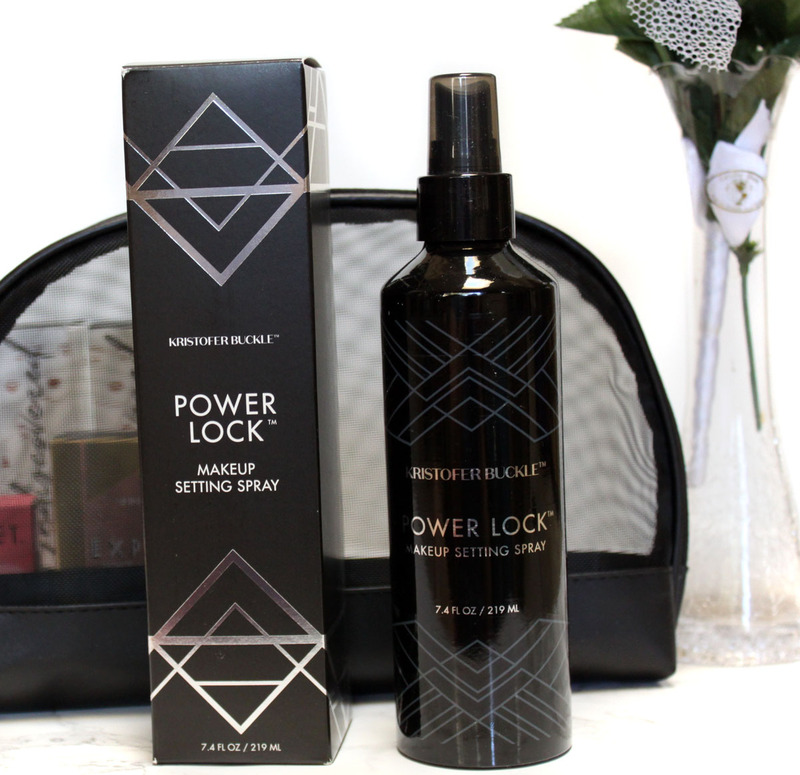 Power Lock® Makeup Setting Spray helps lock makeup into place for extended wear. This lightweight moisturizing formula keeps makeup looking fresh while helping to control excess oil and shine. Developed to help prevent makeup from smudging, it also reduces the visual appearance of fine lines and pores for a natural complexion finish. 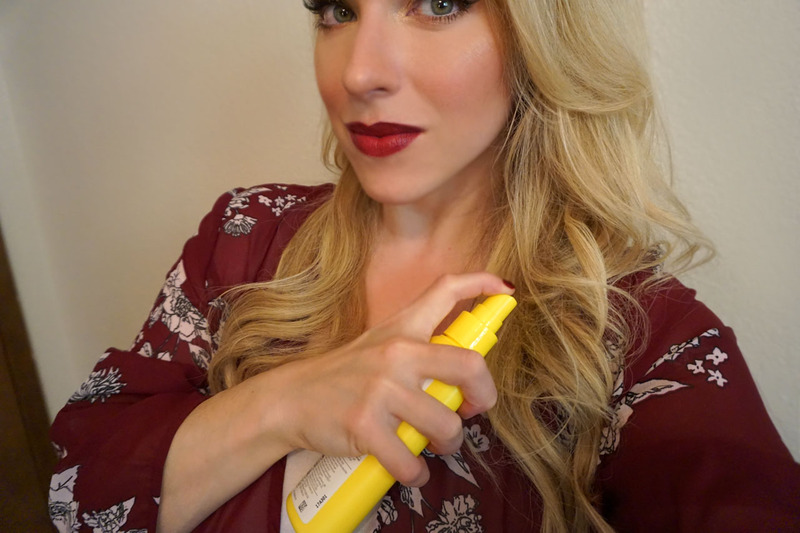 This Makeup Setting Spray means business! The bottle is huge, almost like a can of aerosol hairspray! I spray this on after I am finished with my makeup and it keeps everything perfectly set in place. I haven't become oily in my normal T-zone areas since I started using it. Those with oily skin or who like wearing a full-coverage matte foundation are going to love Power Lock. It puts your makeup on lockdown. Achieve a healthy glow. 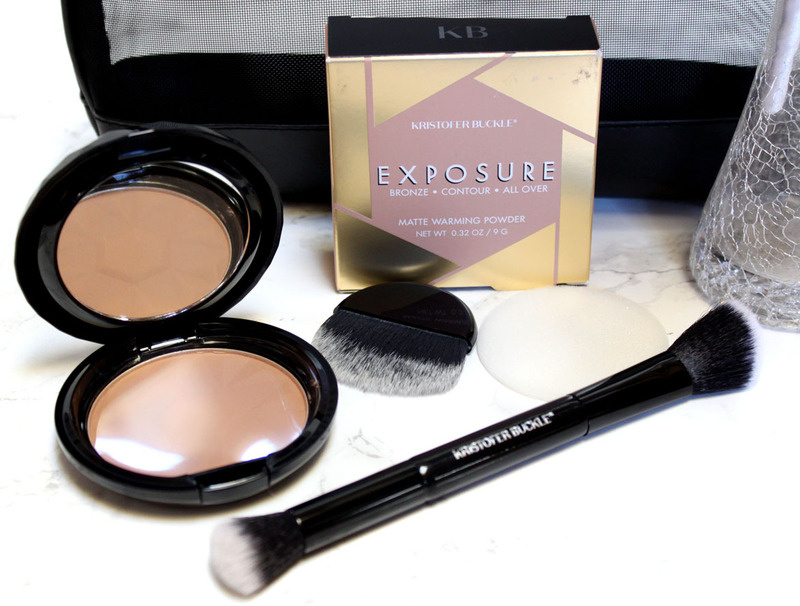 Exposure Warming Powder adds warmth and dimension to enhance and define features. The silky, lightweight formula blends seamlessly onto the skin, creating versatile looks from soft definition to more dramatic effects. Rich pigments and matte finish create the illusion of a natural, sun-kissed appearance. Normally I am not a fan of bronzers. More than not they are too orange or shimmery and leave me less than impressed. This one though has changed my perspective on bronzer. It has just enough warmth to liven up the face while not being too much for my pale skin. 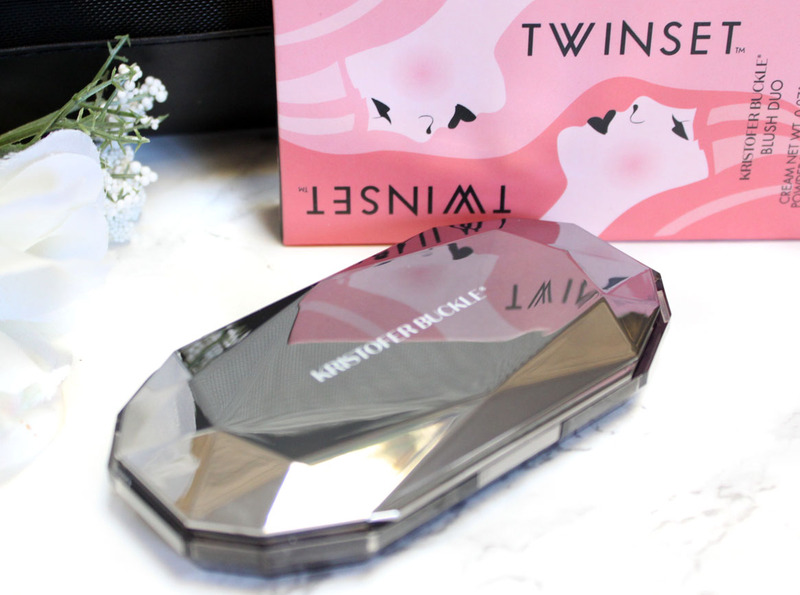 The powder is silky soft and blends effortlessly. I actually really liked how this looked and I almost never like bronzer on myself! Cream plus powder equals staying power. Create the perfect flushed appearance with Twinset Blush Duo featuring cream and powder formulas to enhance cheeks with a healthy-looking wash of color. 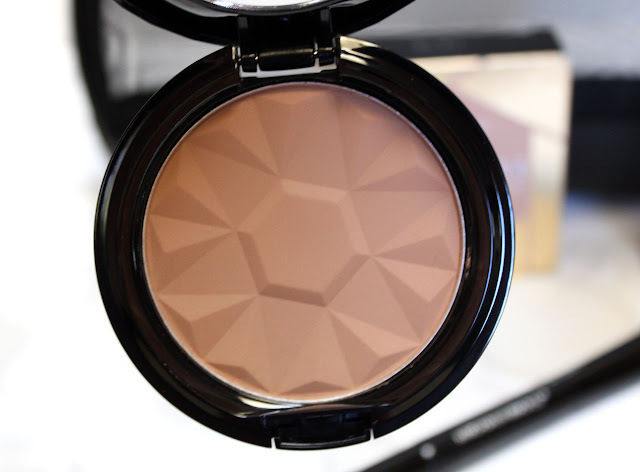 The cream transforms into a powder and adds sheer buildable color while the powder locks it in for longer wear. Designed to flatter every skin tone, this blush duo blends effortlessly for comfortable, natural wear. 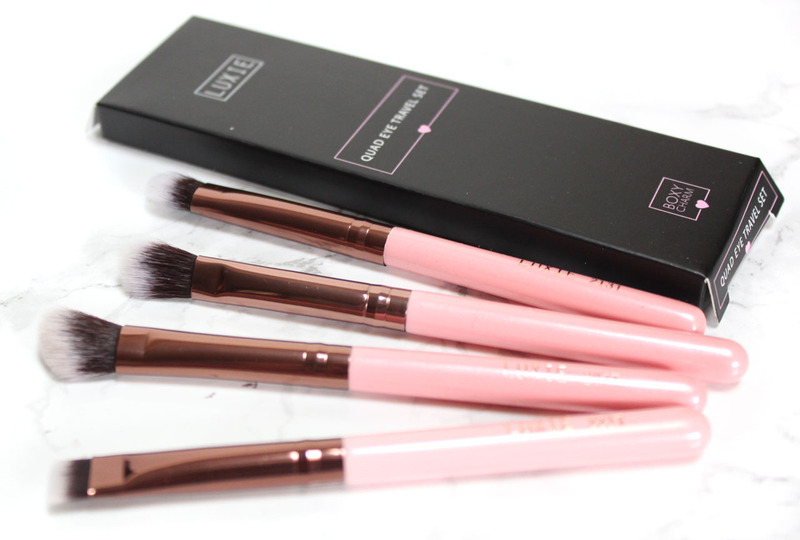 The double-ended brush features a dense side to apply cream and a fuller, domed side that applies powder with seamless coverage for a youthful appearance. 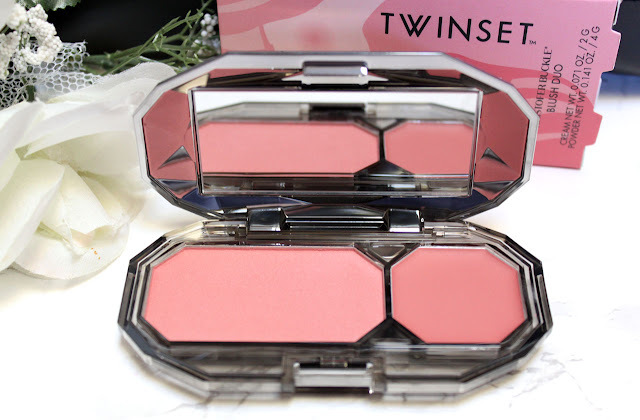 Twinset Blush Duo is my favorite product from the Kristofer Buckle Line so far. 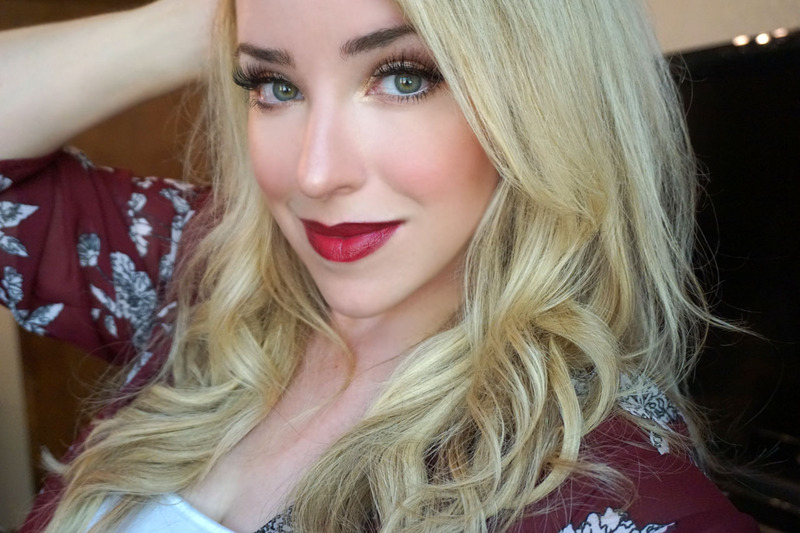 It combines cream and powder blush in a coordinating shade to make those cheeks pop. Forever is a gorgeous matte slightly warm pink blush. I just love this color! When I put it on it immediately perks up my skin and I just feel prettier with it on. Forever is that pefect English Rose color. I have been wearing it every day since I got it. The powder blush is slightly dusty, but super pigmented so you need a light hand. The cream side is silky smooth and melds in to the skin. 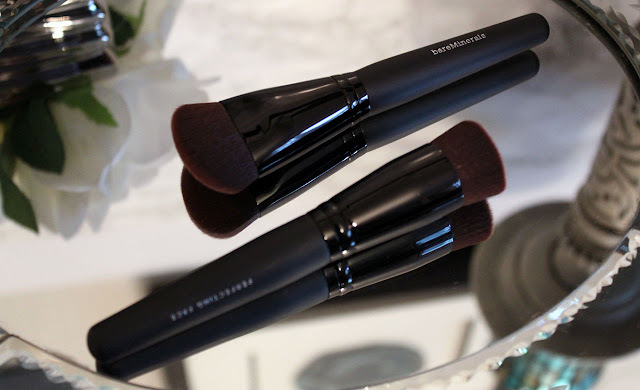 To apply I use the small end of the dual-powder brush to contour the hollows of my cheekbones with the cream and then dust the powder color on to the apples of my cheeks. This combination is stunning no matter what kind of look you pair it with. Full impact color. Cashmere Slip® is a creamy, richly pigmented lipstick that delivers bold color for up to 8 hours. Easy to apply, this luxurious formula glides on smooth and wears comfortably. 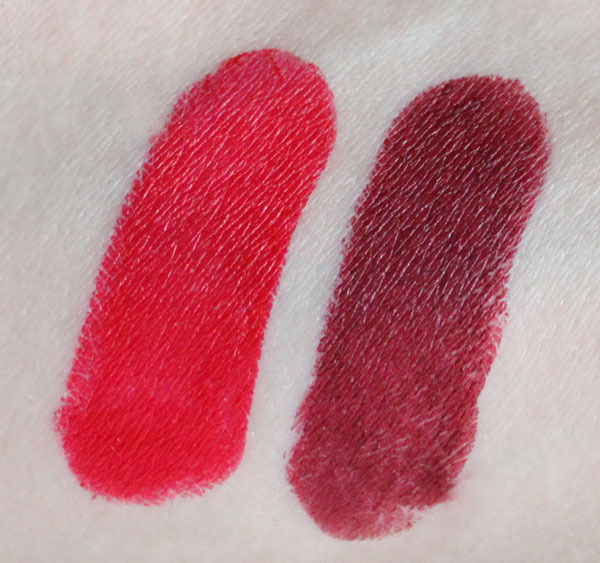 This lipstick duo is available in two shades Bardot/Dolly a pink a Obsessed/Dare for red. 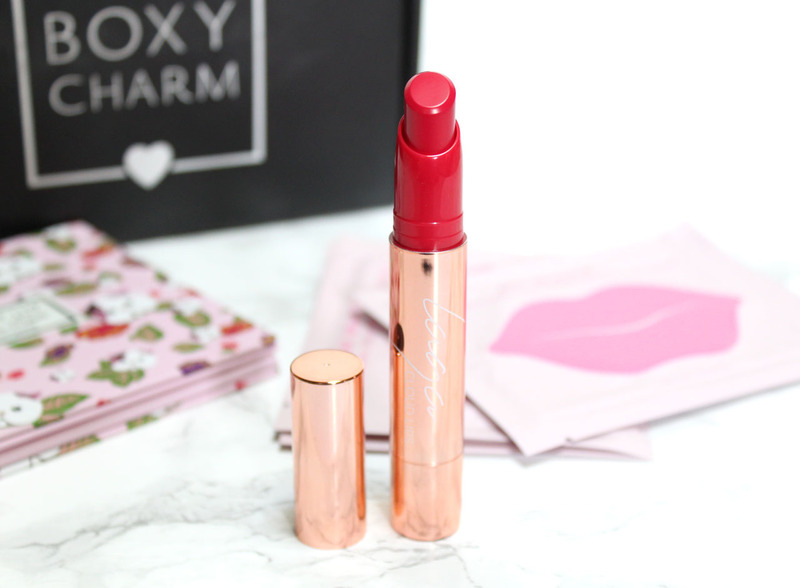 How gorgeous is this lipstick packaging? The sleek pyramid silver mirrored tubes are so glam. 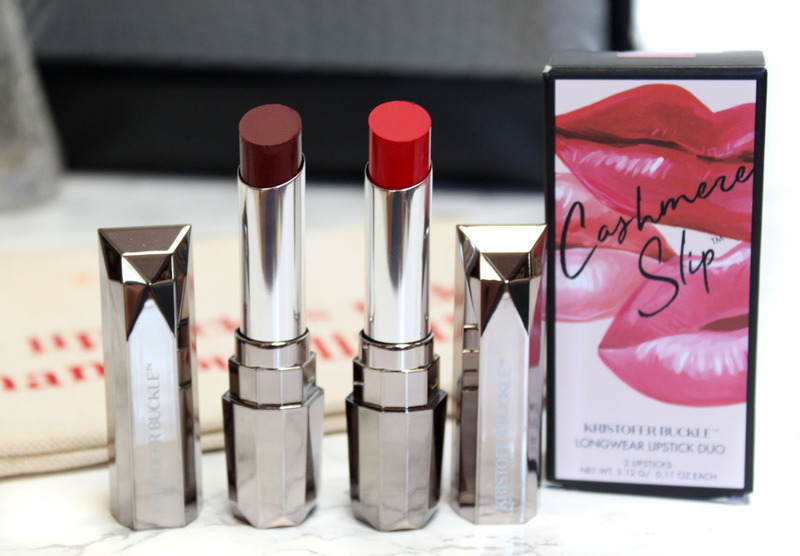 The formula of these are everything that I love in a lipstick. 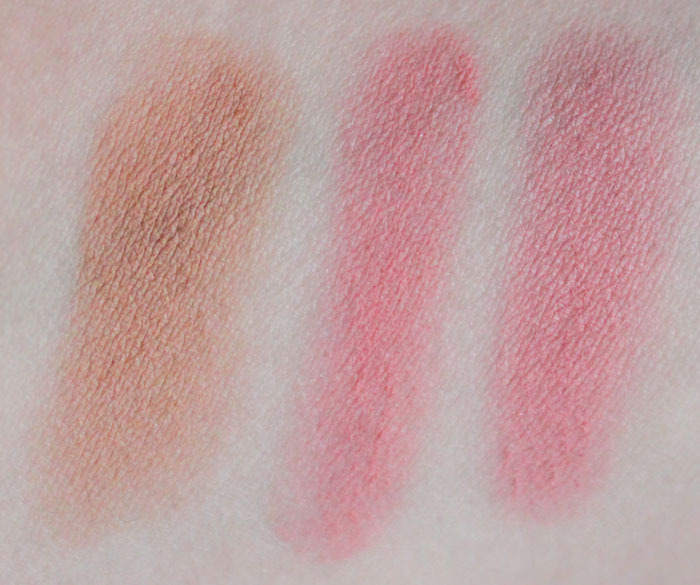 Smooth, buttery, creamy matte, with a light vanilla scent and velvety high pigment color. 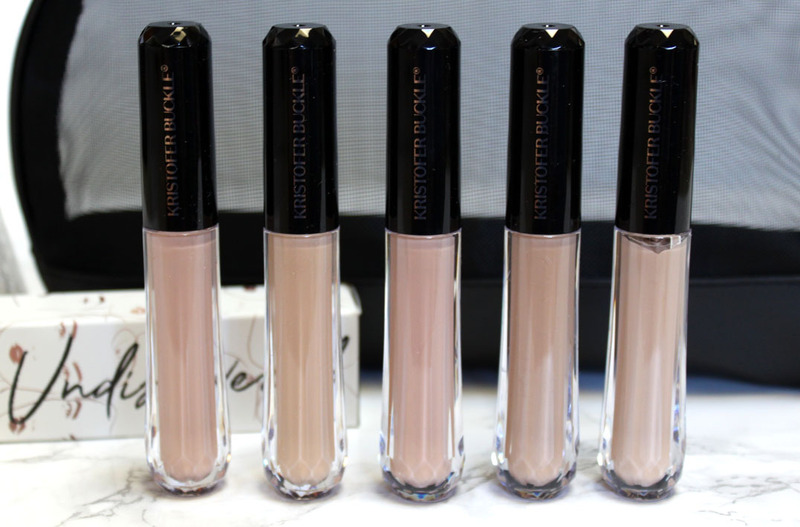 These are seriously some of the smoothest creamy matte formulas I have ever tried. Even the darker shade which can often go on patchy was completely smooth and consistent in color. The lasting power is excellent and they are comfortable to wear. Wear them on their own or pop the lighter color in the center of the lip to create 3D dimension and a fuller looking lip. That red is so pin up sexpot! If you want that perfect Xtina-esque red lip color here it is. I really hope he comes out with more of these lipsticks because they are just so dang good. The new Holiday realease Gala/Hush Day and Night Set I am for sure picking up next. I am beyond impressed with this line! If you want to create the gorgeous makeup looks Kirstofer does on his clients at home, Kristofer Buckle Beauty will get you there. I don't do many foundation reviews simply because I rarely stray from my holy grails. About once a year though I give something new in the game a spin. After reading the reviews on SEPHORA I narrowed my choices down to two foundations: barePro Performance Wear Liquid Foundation and Fenty Beauty Pro Filt'r Foundation. 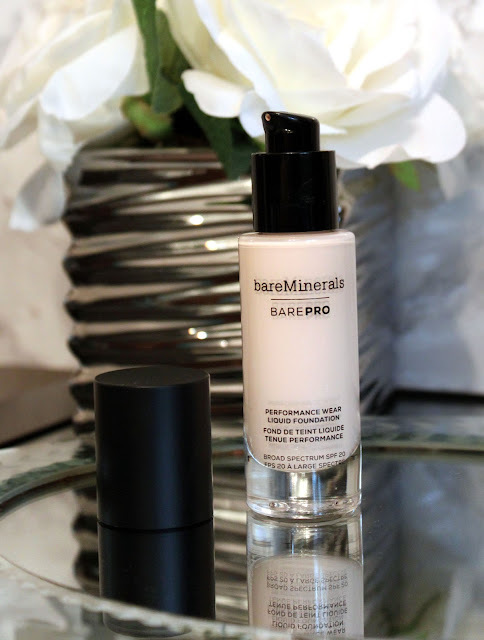 I wore bareMinerals Rescue Complexion throughout Summer so knowing how well that worked for me I went with barePro. Lets see if this foundation lives up to all the claims! bareMinerals barePro Performance Wear Liquid Foundation redefines what long-wear means: a good-for-skin, high-performance formula that blurs pores and imperfections while improving the appearance of skin texture over time*. With 24-hour wear in a range of natural matte finish shades, it works - and plays - as hard as you do. Just one pump delivers lightweight, oil-free, photo-friendly full-coverage. barePro Performance Wear Liquid Foundation is powered by specially-developed Mineral Lock Long-Wear Technology that blends mineral pigments with lipids naturally found in skin to lock in all-day full coverage. Natural Bamboo Stem Extract provides a smooth, soft focus finish, while Papaya Enzymes gently improve skin's texture both immediately and over time. This self-setting foundation is transfer-resistant and color-true. Available from the fairest porcelain to the deepest cocoa for all of our natural beauties. 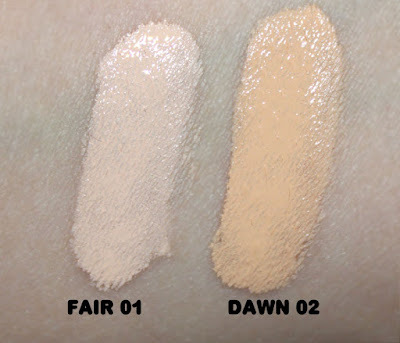 Fair 01 and Fawn 02 are the two lightest shades in the range. Fair 01 was a near perfect match for my fair cool toned skin. Fawn 02 will work best for those with yellow undertones. 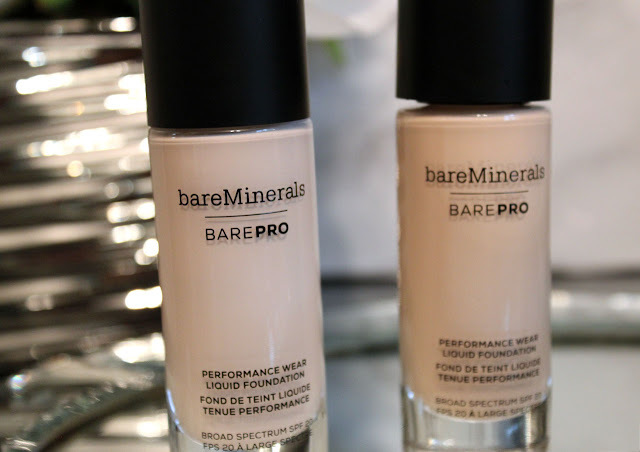 barePro has 30 foundations shades! Just the shade selection alone makes it pretty amazing. The shades run on the lighter side. 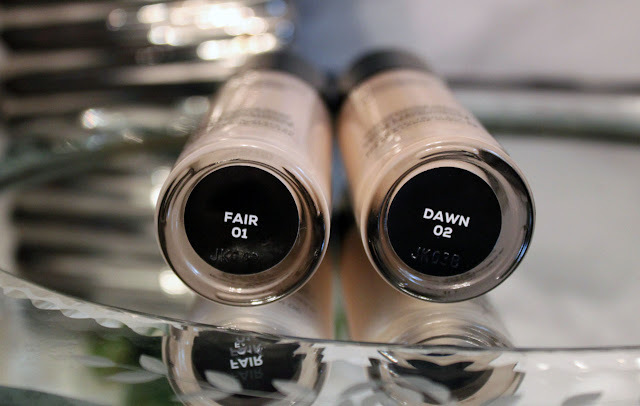 I am almost always the lightest shade in any foundation line and Fair 01 was verging on too light for me. After it set, it was perfect though. You might want to try one shade up in your undertone. I am someone who does not like to wear foundation so I feel like I can be EXTRA critical. My criteria for foundation is that it must look like natural skin and not feel like I am wearing foundation on my face. barePro hits the mark in both of those categories. The finish is a very natural looking demi-matte which looks great on my combination skin, blurring pores and keeping the oil at bay. Because this is on the matte side I am not sure I would recommend it for dry skin. It works wonderfully on combination to oily skin types though. My skin does feel a little dry after I take it off at the end of the day, but I have not experienced any breakouts or skin issues from it. The formula is a lightweight liquid that melds in to the skin with out feeling heavy, tight, or dry. I apply this foundation sparingly (1/2 pump) in my daily wear as I prefer light foundation. The coverage is medium to buildable. It's not full-coverage, which I am happy about because I prefer a more natural look. If I can get a natural look with a little extra coverage I am all about it. 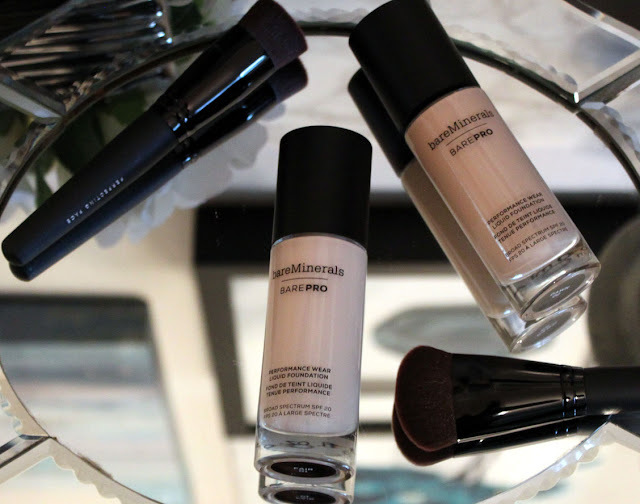 The best way to apply this foundation is with The Luxe Performance Brush. It was specifically designed for use with BAREPRO® Liquid Foundation with dense, tapered fibers that mimic the shape of fingertips for fast easy blending of liquid foundation makeup-even around your nose and eyes. I also like how this applies with a damp Beauty Blender and the Perfecting Face Brush is also great with this foundation. Really no matter how you choose to apply it, you'll get smooth, flawless coverage. Fall and Winter are synonymous with going darker. Fashion choices, hair color, and makeup all take on richer deeper tones. I always get the itch to change up my hair color once a new season hits. I have run the gamut in the blonde spectrum, from dirty blonde to low lights and you know what? I immediately want to go back to my sunkissed highlights of Summer. This Fall has been bananas! It hit 70 degrees here last weekend. So I thought why not take a cue from Mother Nature and extend my Summer style a little while longer? 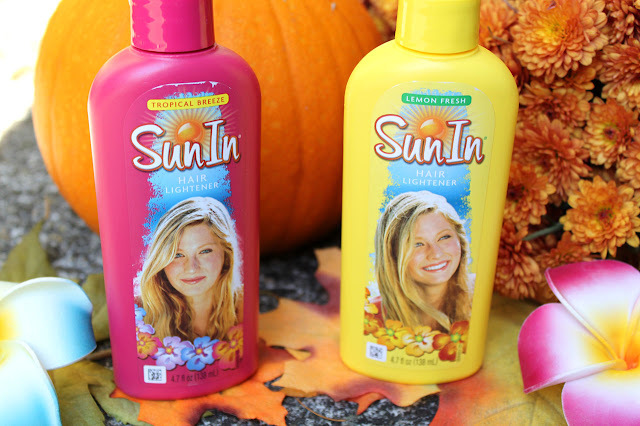 SunIn is my magic trick to lightening my hair and has been since my teens. 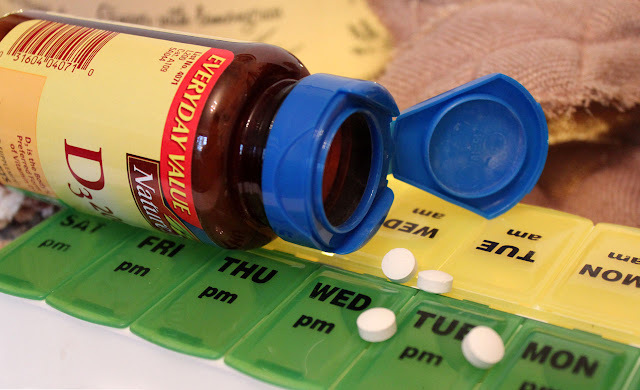 There is just something nostalgic about that bright little bottle of sunshine that has been around since the 70's. It may have gotten me grounded at 15, but it also made me feel like Courtney Love in the process. 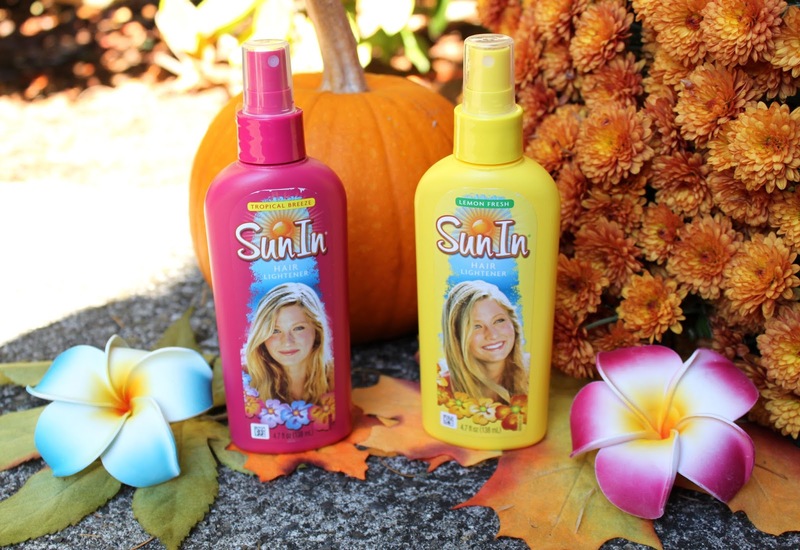 SunIn gives you the same natural highlights you get from the sun - only faster! 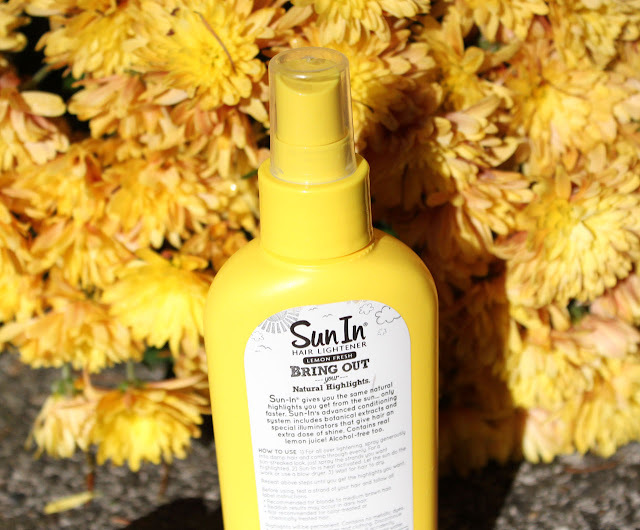 SunIn's advanced conditioning system includes botanical extracts and special illuminators that give hair an extra dose of shine, conditioning while it lightens. Being alcohol-free it won't damage or dry out your hair as much as bleach will. 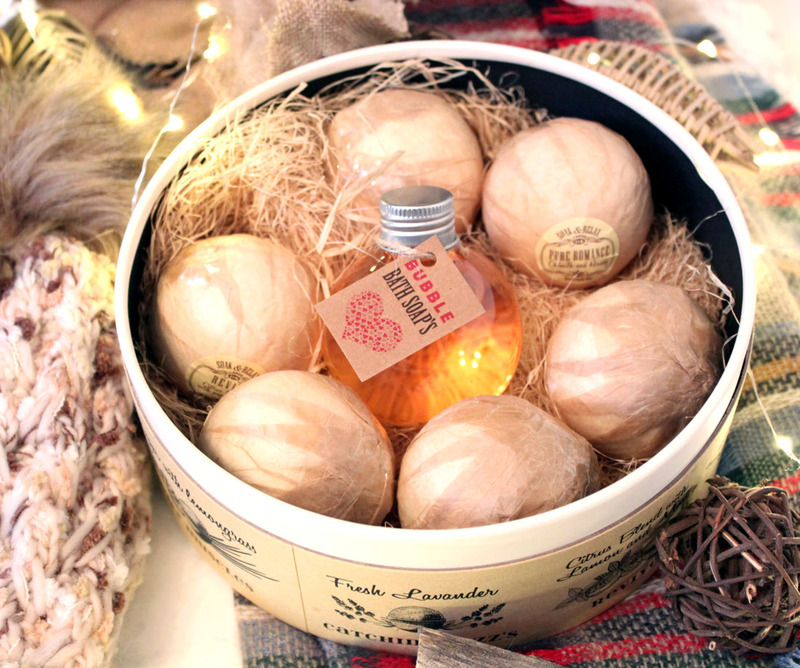 There are two scents in the line, Lemon Fresh and Tropical Breeze, both smell amazing! To bring out my natural highlights, I spritz SunIn on to 1/2 to 1 inch sections of damp hair. Placing light shades around the face mimics where the sun would hit to lighten your hair color naturally. Adding a little bit of brightness to the hair can perk up a dull Winter complexion and contrasts beautifully with a deep Merlot Fall lipstick shade. 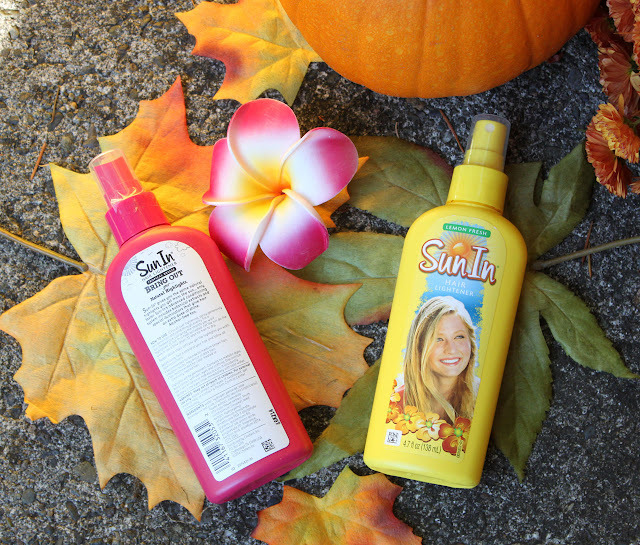 I also like to use SunIn on the ends and under side of my hair. I have partial highlights done most of the time so the bottom portion of my hair has a lot more of my natural color through it. 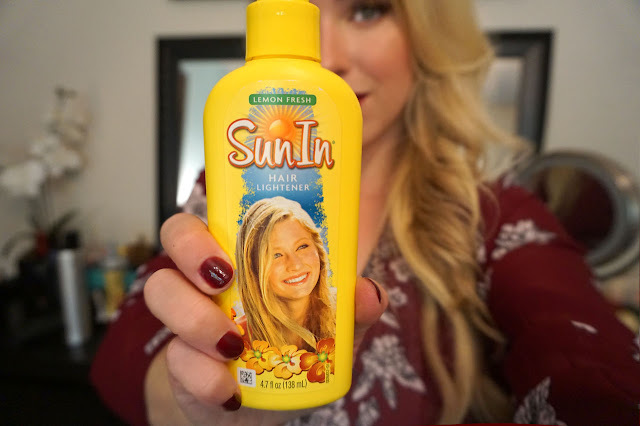 SunIn blends my faux blonde in to my natural hair color easily and I can skip the expensive full foils. 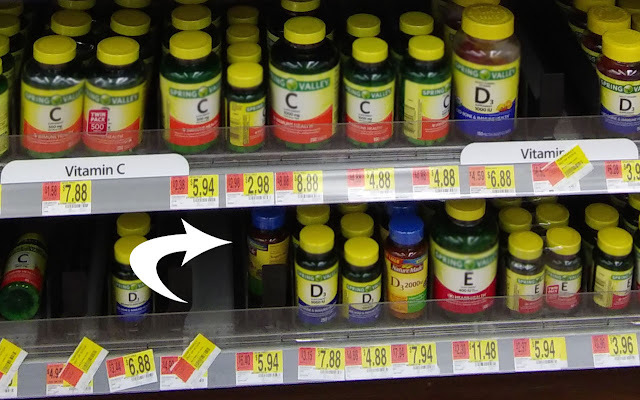 SunIn is under $5 at Walmart! Yay for saving money! Using my hair dryer on low heat I heat up the section until dry. That's right, you don't need to do sit out in the sun for SunIn to work. It's heat activated, not just SUN-activated. It works so fast too! 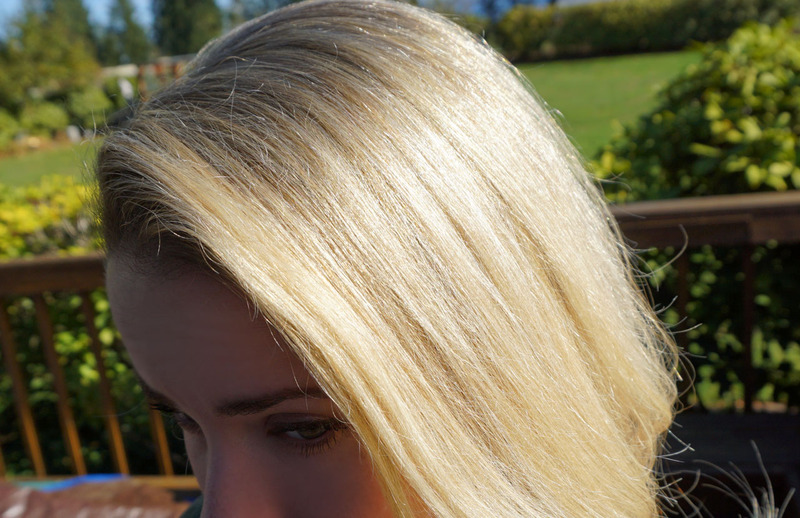 Right before your eyes you will see your hair becoming lighter and brighter. Need a root touch-up? Spray SunIn on to your roots to lighten up the contrast between dark roots and light hair color. It will allow you to stretch out those salon visits longer and it looks incredibly natural. SunIn isn't JUST for blondes! It brightens blonde to medium-brown hair too. 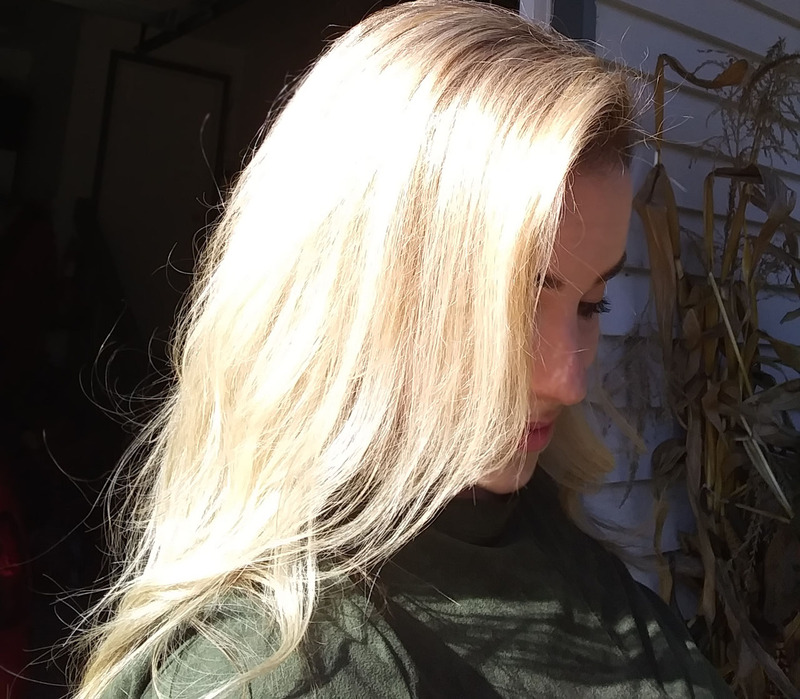 I have medium blonde hair and it brings out the brightness of my natural highlights that become dull over the Winter months. My friends with dark hair can achieve beautiful coppery red highlights. DIY ombre anyone? 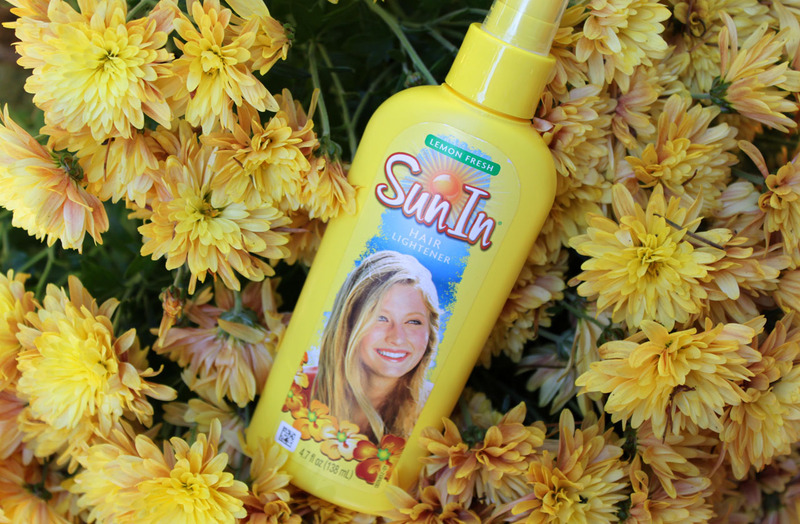 Have you tried SunIn? Would you buck the trend and go light for Fall?